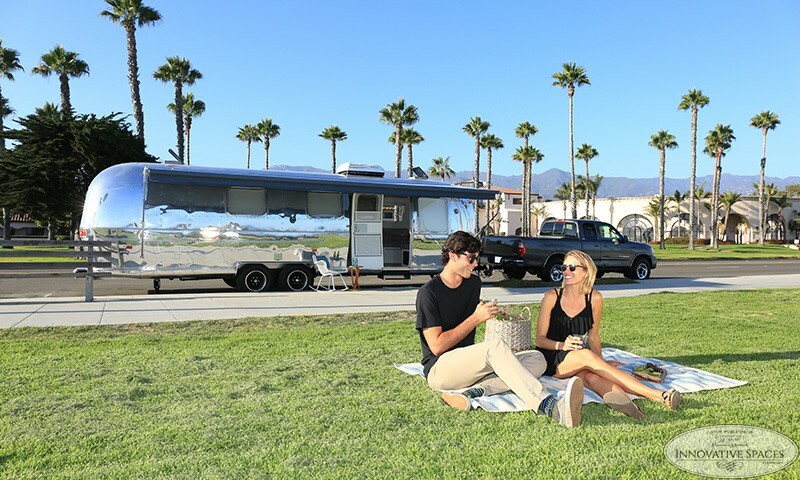 Innovative Spaces is a vintage trailer custom mobile space builder with decades of hands-on experience in the art of Airstream renovations. Our team of renovators have over a hundred years of combined experience in the building trades. We believe that quality workmanship and customer satisfaction is the key to our success. Founder Nate Stover has been working in the construction industry for over 25 years. For the last few years, Nate ran the construction side of the well-known Hofmann Architecture. Many of the projects completed during that time are seen throughout our site. Every project that leaves our yard represents who we are as professionals in the industry and as people. Going that extra mile is why we are comfortable providing one of the longest warranties in this unique industry. We love it when customers recommend our custom Airstream restoration services to their family, friends and business associates! Nate and his team delivered everything they promised. Worked with us on our budget and we couldn’t be happier. Client-focused, with a strong commitment to quality craftsmanship. Nate and team have that unique combination of craftsmanship, integrity, and professional approach to their work.